Commissioned by the Joyful Company of Singers. 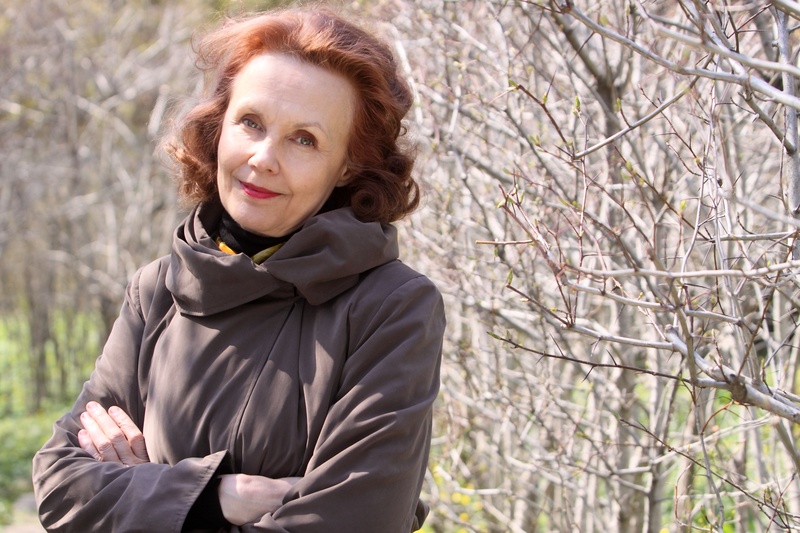 Kaija Saariaho originally wrote Nuit, adieux in 1991 for vocal quartet and electronics. Five years later, at the request of the Joyful Company of Singers, she wrote a new version in which the mixed choir replaces and imitates the electronics of the original. The various echoes, delays and other effects have been transferred to the choir part. Nuits, adieux is about singing, breathing, whispering, night time, farewells. The piece consists of ten passages, five of them entitled Nuit , five remaining Adieu. Two different text sources are used for these two kinds of passages: extracts from Jacques Roubaud’s book Echanges de la lumière (‘nights’) and a fragment from Honoré de Balzac’s novel Séraphita (‘farewells’). The voices are amplified and processed during the performance. Each singer is using two microphones. One of them is used as a general mean of amplification, and is sent then to different, changing processing programs ( eg. early reflection, gate reverb, delay). Audibly the most dominant processing is, nevertheless, done with the material sung into the second microphone. Here I use a reverberation, in which the reverb time is controlled by the dynamic changes of the voices. In general, this time is set to be relatively long, and the audible result is a continuously changing texture, which forms a background for the more present events sung into the first microphone. The best introduction would be to read the texts I have chosen for the piece. Nuits, adieux is was commisioned by the WDR, and the first performance was given by the Electric Phoenix in Cologne the 11th of May 1991. The piece is dedicated for the memory of my grand mother. into the darkness and spits it into the air. That’s what night is: a dark holy head of hair. The light is only to define it. Thus the first night gave way to day. adieu, femme, tu seras soufrance; adieu, homme, tu seras croyance; adieu, vous qui serez tout amour et prière. Farewell, granite, you will become a flower; farewell, flower, you will become a dove; farewell dove, you will be a woman; farewell woman, you will become pain; farewell, man, you will become belief; farewell, you who will be all love and prayer.